Flatten chicken breasts for quicker sautEing, crush cookie crumbs for a pie, and work out some frustrations while you're at it! . 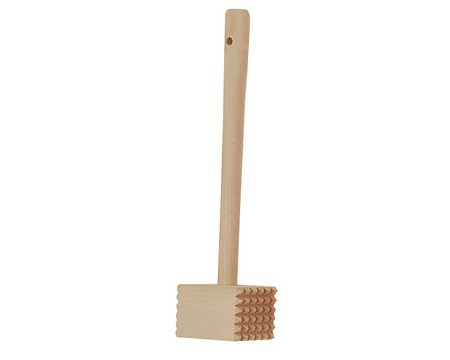 Hardwood mallet measures 10 3/4" long.